Hi everyone and welcome to Episode 3 of the #mfltwitterati podcast. In this episode, we hear about ways in which you can harness the power of social media and in particular Instagram and Snapchat to turn authentic resources into starter activities and make learning visible. We’ll find out what impact language ambassadors can have on a school’s ethos. There are also lots of ideas on how to integrate short films and drama into the languages classroom including flipping the classroom, green screening, digital storytelling, the benefits of attending a BFI Study Day and running a Film Club at your school. 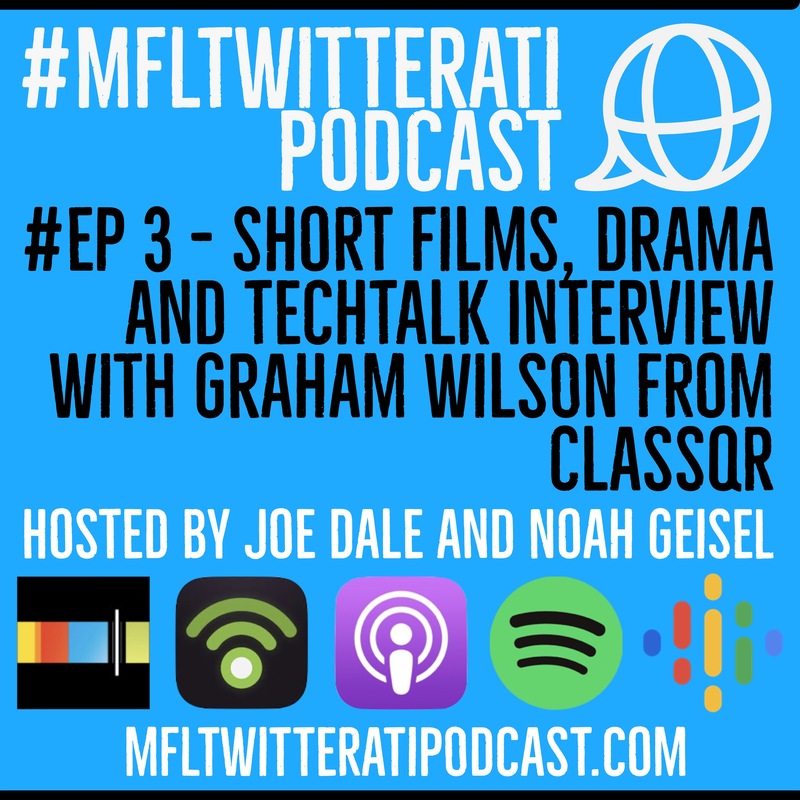 Our TechTalk interview for this episode features an exclusive chat with Graham Wilson from @Class_QR about his revolutionary app loved by many language teachers which enables users to give audio feedback as well as promote listening and speaking skills in and out of the classroom. This entry was posted in Films, Podcast on March 17, 2019 by admin.